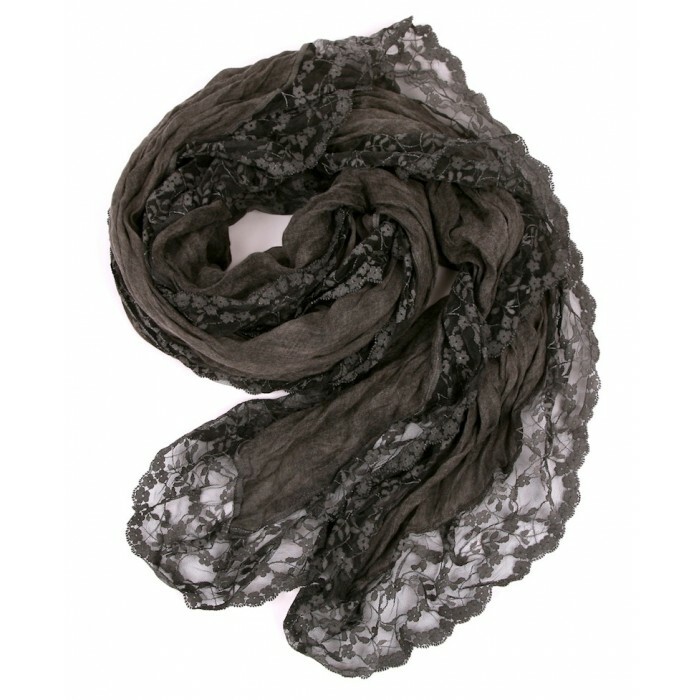 This unique soft and beautiful oversize (55x79") scarf is hand dyed and softly washed in a charcoal grey hue. There is a tiny diamond weave in the fabric, tone on tone. The lace is hand dyed and incredibly soft to the touch. 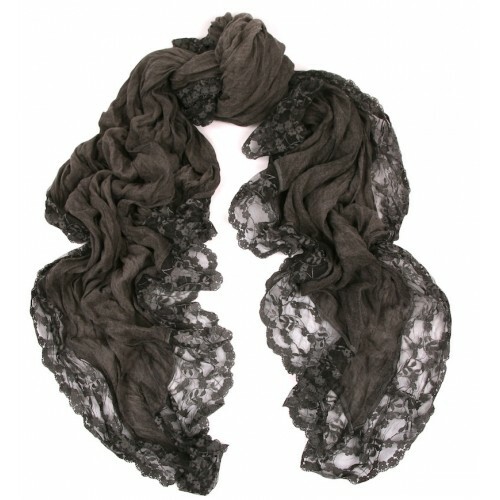 The large size is matched with the perfect drape of this scarf to pop up any outfit. Italian mastery of softest blended 90 micromodal and 10 cashmere make this a striking addition to the wardrobe for jeans, or to dress up a jacket. Each scarf is hand dyed. Made in Italy.